Not to be confused with (successor) Bannockburn, New Road, New Bridge (NS 80944 90470), for which see NS89SW 104. 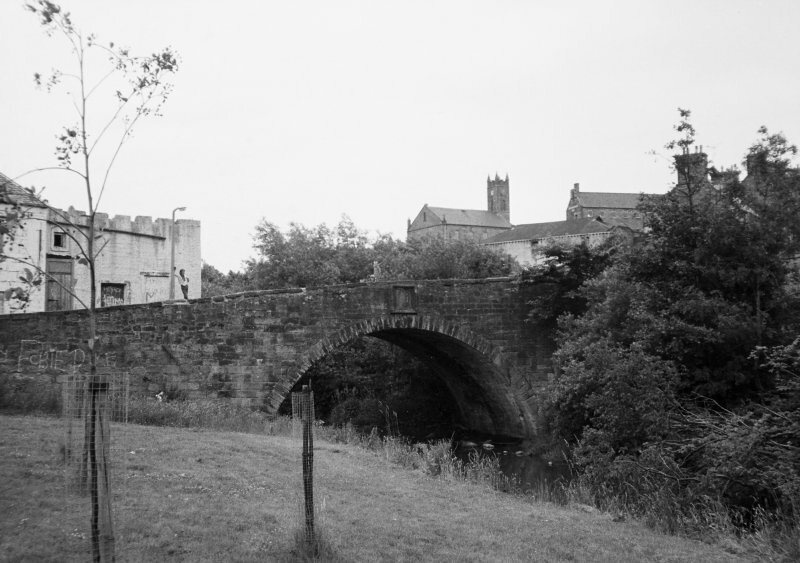 (NS 8076 9044) A panel, placed over the W side of this single-arched bridge over the Bannock Burn is incised with the inscription: 'This bridge was built by Robert Spitall taylor to King James the Fourth 1516 pro patria et posteris. Repaired by the Justices of the Peace 1710. 12 feet added to the breadth by the trustees 1781'. Although this panel can hardly be later in date than the late 18th century, it may embody an authentic tradition. Stirling Burgh Records also note repairs to the bridge in 1631. The overall width of the bridge is 24'6" [7.5m], with the original structure forming the eastern 11'10" [3.6m]. The overall length, including approaches, is 158' [48.1m]. Visited by OS (JP), 20 December 1973. (Location cited as NS 808 904). Bridge, Bannockburn. 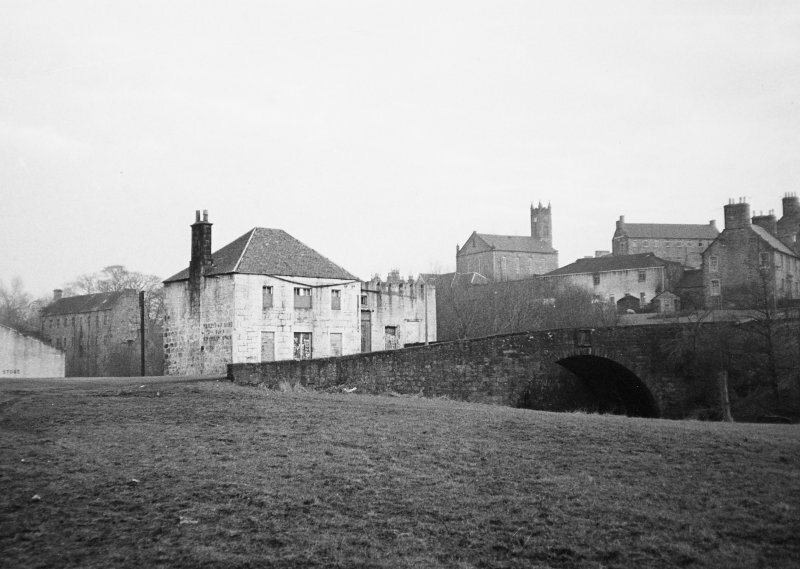 Built 1516, widened 1781. A small segmental-arched bridge, with dressed-stone arch ring, and part dressed-stone, part rubble spandrels. This bridge carries a public road over the Bannock Burn within the area of Bannockburn village (NS89SW 32). It is depicted, but not noted, on the 1979 edition of the OS 1:10,000 map. Bridge was repaired and re-pointed during October 2011 (information via email from Mr J White on 31/10/2011).